It looks like Magic Leap is getting its ducks in a row to launch its Magic Leap One: Creator Edition as the company's name is once again showing up in US Patent and Trademark Office (USPTO) filings. According to a trademark application filed earlier this month, "Lumin" might be the name for the operating system of the Magic Leap One smartglasses. On Jan. 18, Magic Leap submitted paperwork to the USPTO, with Joseph V. Myers, III of Seyfarth Shaw LLP serving as the attorney of record. The filing categorizes the mark as related to "computer operating systems; operating system programs." 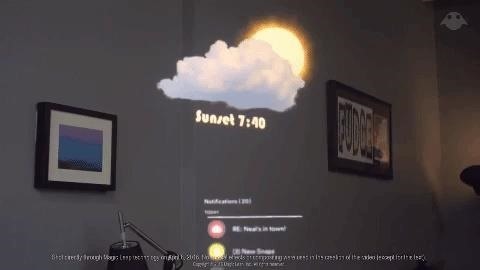 Lumin (lumen is the Latin root word for "light") as the name of the operating system for Magic Leap One is a fairly clever play on words, in the same vein as Lightwear for the headset and Lightpack for the wearable computer that will run the system. Meanwhile, the company's recently acquired Microsoft PlayReady DRM license might provide a hint as to how the device will manage media content, as it implies some manner of plug-and-play functionality with the Windows ecosystem. Magic Leap still hasn't revealed much beyond a few general details around the device, but the company has at least checked off two items on its list of tasks to complete before it can start shipping devices. Perhaps this is a hint that the Magic Leap One's price, pre-order and shipping date will be revealed soon.